London can feel a little safer with the arrival of five very special individuals; the Marvel Comic Superheroes. 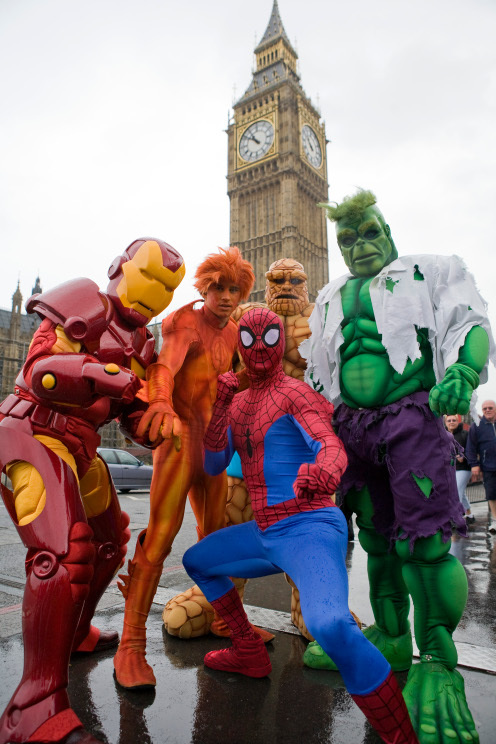 Hulk, Iron Man, Spider-Man, Thing and Human Torch took time out of their busy schedule to protect Londoners. The new video game which is based on the Marvel Civil War storyline enables players to assemble a superhero dream team from more than 20 of Marvel’s most dynamic heroes including Spider-Man, Wolverine, Hulk, Iron Man, Juggernaught and Thor. For the first time gamers can combine the powers of these fearsome characters to unlock over 250 astonishing new fusion attacks.